By not standing for the national anthem, Colin Kaepernick has disrespected the sacred ritual of football. 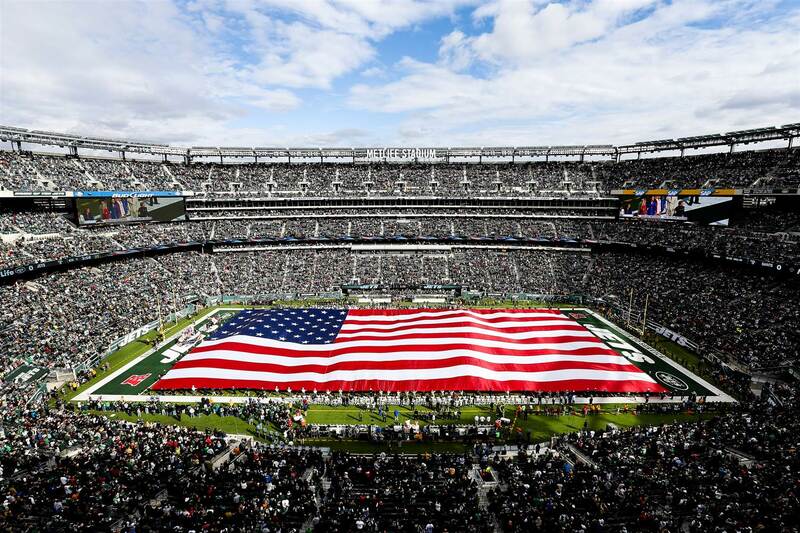 The American concussion game is inseparable from patriotism. There has not been so much outrage since John Lennon commented that the Beatles were more popular than Jesus. 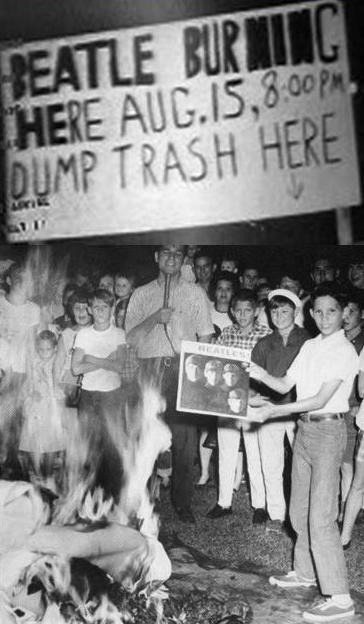 * Defenders of Christianity – as if Christianity needed to be defended against a pop-music star – organized burnings of Beatles records. barefoot, on the podium at the medal awards ceremony. Smith had won the gold, setting a new world record, in the 200-meter sprint. Carlos took the bronze. Instead of humbly holding hands over hearts during the playing of “The Star Spangled Banner,” they each raised an arm, gloved hands clenched in fists, in what was considered to be a black-power salute. 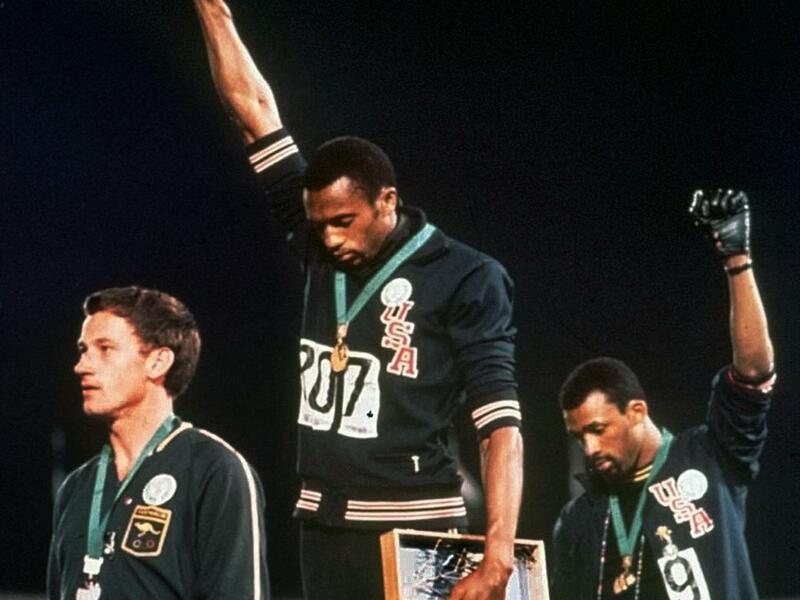 The silver-medal winner, Peter Norman, an Australian, did not raise a clenched fist, but wore an Olympic Project for Human Rights badge on his jacket, as did the other two. They were booed as they left the podium. Smith and Carlos were pulled from upcoming relays and Olympic chairman Avery Brundage evicted them from the Olympic Village. Back home, both athletes, and their families, received death threats and had difficulty finding employment. They each played briefly in the NFL. 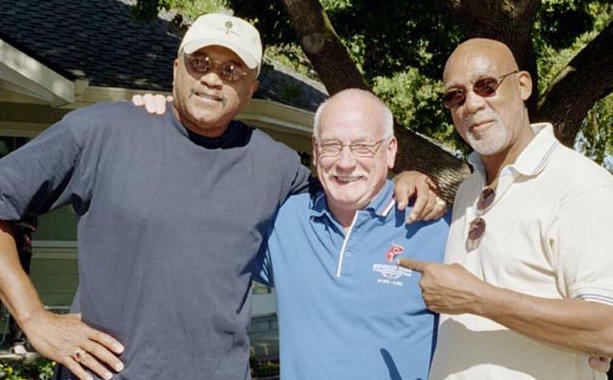 Smith became track coach and taught sociology at Oberlin College in Ohio and later at Santa Monica College. Carlos was a counselor and track and field coach at Palm Springs High School. at home. Although qualifying for the 1972 games, he was not selected for the Australian team. Norman’s time in the 1968 race, still stands as the Australian record. He died of a heart attack in 2006. Smith and Carlos gave eulogies and were pallbearers at Norman’s funeral. John Lennon continued to have a successful musical career. A born-again Christian and rabid Beatles fan, Mark David Chapman felt betrayed by Lennon’s blasphemous remarks. On a night in 1980, Chapman waited with a loaded gun for Lennon’s return to his New York apartment building. And Colin Kaepernick? Who knows? Outrage over a football player’s sitting down may tell more about us than it does about him. Both senators from Texas, John Cornyn and Ted Cruz, and twenty of their House colleagues voted against the 2013 Hurricane Sandy Relief Act. (In the previous fiscal year, Texas received more federal disaster relief money than any other state.) All but four Texas reps voted in favor of initial Harvey relief legislation. The four dissenters don’t represent coastal districts, so they don’t care. 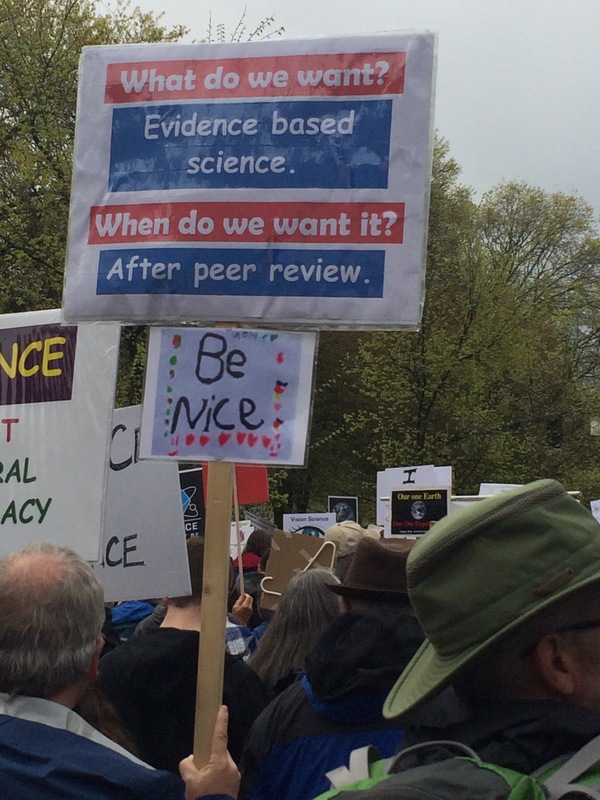 The Los Angeles Times recently published a concise summary of scientific consensus about cause and effect of natural catastrophes and why we can expect more in the future. Wind & Rain – Rising sea levels mean more flooding – storm surge – when storms push water into the shore. Warmer air results in more moisture in the atmosphere, so… when it rains, it pours. 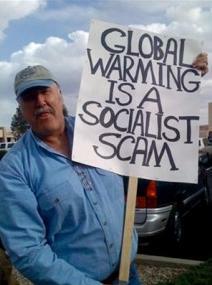 And oh yeah, scientists say there’ll be fewer weak storms. That’s because more of them will be Category 4 and 5. Lack of Wind & Rain – Warmer temperatures mean quicker evaporation into the atmosphere to feed the storms in hurricane zones. Meanwhile, in the southwestern U.S., even with normal rainfall – which has not occurred the past few years – the ground will be drier meaning less moisture for living things. Fire – Dry conditions mean more fires. Duh. Warmer weather also means greater survival rates for pine beetles that generally perish in frigid conditions. The pest has expanded its area of devastation from the Rocky Mountains to the Pacific Northwest and Canada. 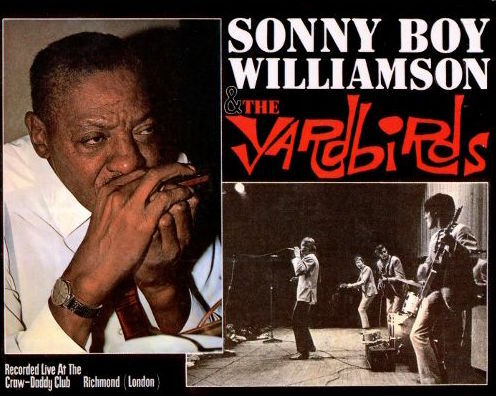 Sonny Boy Williamson was born in Mississippi in 1899… or 1909… or maybe 1897. His given name was Aleck… or Alex… or Rice – which might have been a nickname – Miller… or Ford. In the 1930s he was traveling the Delta, performing under the name Little Boy Blue. In the 1940s he became a star on the King Biscuit Time radio show. The sponsor felt they could sell more King Biscuit Flour if their star had a better-known name. 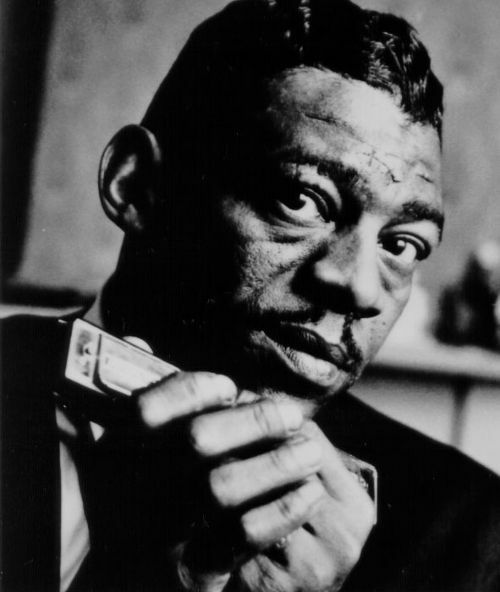 Rice Miller took the persona of the late blues singer and harmonica virtuoso Sonny Boy Williamson. There was no Facebook or Twitter to tell radio listeners of the ruse. Which brings us to Randy Newman. Many know Newman as the composer of musical soundtracks for “Toy Story” and other motion pictures. He is also the creator of acerbic and often misinterpreted songs satirizing prejudice (“Sail Away”, “Rednecks”, “Short People”), self-absorbed yuppies (“I Love L.A.”), and nuclear holocaust (“Political Science”) among other topics. He can also convey heart-breaking empathy. 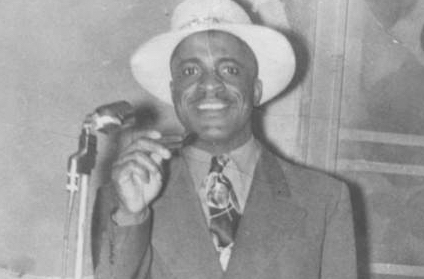 (“Louisiana 1927”) Newman’s just-released new album “Dark Matter” includes the song “Sonny Boy,” wherein the original Sonny Boy Williamson – “the only blues man in heaven” – vents his resentment about having his name and career stolen. The recent antics in Charlottesville, Virginia ostensibly began as a protest of the impending removal of a statue of Robert E. Lee, commander of the Confederate Army, astride his horse. The demonstrators were enraged by this attack on their heritage. The South’s Confederate legacy was so important that it took nearly sixty years, until 1924, for them to get around to erecting this monument in its honor. Like most Civil War memorials, this one was built not during the postwar reconstruction, but during the time of Jim Crow laws, a sort of “in your face” to African-Americans whose few decades of civil rights were ending. Daniel Murray was born in Baltimore in1852. His father was a freed slave; his mother a free black woman. At the time of his birth, Baltimore had the largest free Black population in the country. Baltimore and nearby Washington D.C. were islands of opportunity for free blacks. Careers in government service and Howard University attracted African-American civic leaders and intellectuals. With timing, connections and his ability to network – sound familiar? 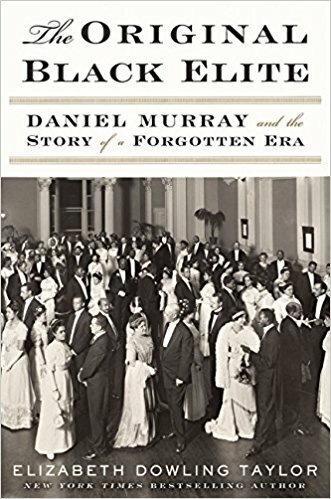 – with both whites and blacks, Murray built a successful business and government career. 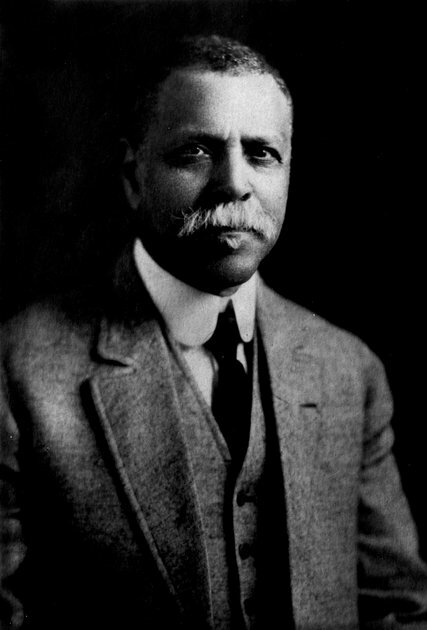 By 1899, he was Assistant Librarian, the second-highest position at the Library of Congress, working with Congress doing research for legislation. He was a member of the Washington Board of Trade, the only non-white on the advocacy group of businessmen. Murray’s wife, Anna Evans, was a black socialite who taught at local schools and attended Oberlin College. They owned a three-story brick home in D.C.
federal troops were pulled out of the southern states. Reconstruction had ended. 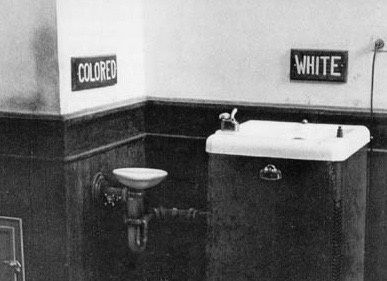 The Supreme Court promulgated its “separate but equal” doctrine in the landmark Plessy v. Ferguson case. (“Equal” had a different meaning in southern states.) A deluge of “Jim Crow” laws followed, peaking in the 1920s, coincided with the resurgence of the Ku Klux Klan and a new need to put up Civil-War monuments. Confederate statuary reached a second peak in the fifties and sixties, a reaction to the escalating civil-rights movement. After being inaugurated as president in 1913, Woodrow Wilson oversaw the segregation of federal offices, firing or demoting black employees and segregating facilities. Daniel Murray was one of those demoted and salary slashed. He was not allowed to eat in the Library’s public cafeteria. He died in 1925, in a segregated hospital and was buried in a segregated cemetery. Read “The Original Black Elite” by Elizabeth Dowling Taylor. We think of Labor Day as summer’s last gasp. The final three-day weekend of the season. In polite society, it’s the last day to wear white. There was a time when Labor Day meant the beginning of the presidential campaign, not a multi-year slog to election day.